Looking for quality baking ovens? 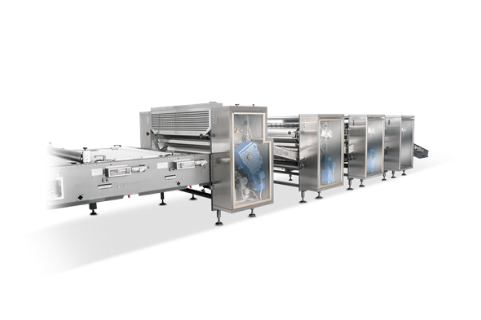 New Era Machines is a leading manufacturer of automated production lines for the biscuit industry. Find out more! Gauge Roll Units deployed to reduce sheet thickness in progressive stages before cutting. The number of reduction stages is decided as per product or capacity requirements. Individual Side to Side Gap Adjustment by two independent Servo Motors with Position feedback.